As we have emerged from the ‘90’s and early 2000’s, where over-plucked brows were all the rage, we find ourselves in the modern day, where perfectly sculpted, shaped, and tinted brows are IT. How do we achieve these perfect brows? After growing out (if applicable), shaping, and creating the “foundation” for your brows…we pick out the ideal brow makeup, formula, and application to birth Michelangelo-approved brows. Sounds simple enough, right? All jokes aside, making our brows flawless isn’t that big of a task. As a disclaimer, I’m not going to say I recommend shaping your brows yourself, but I also don’t recommend having them done by someone else. I DO recommend growing out your brows naturally, if applicable/possible. The more natural your brows are, the easier they are to fill in. let’s talk about the different brow formulas and the application process of brow makeup. I always recommend a lighter brow. Bold brows look wonderful on many people, but I often find filling in brows *too* much can be…well, too much. I like to start by forming a shape or line around the brow, and filling in after that. I also never color too closely to the front of the brow, because “transitioning” the brow here makes it look amazing. (Think of a gradient: the front of the brows should be lighter than the rest, but not sparse, as this makes it look as natural as possible). currently, there’s powder, pencil, and gels. I recommend powder for naturally full brows, pencil for medium to less full brows, and gels for sparse brows (or if you’re looking for a bold/dramatic look). 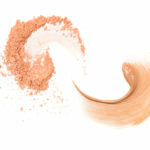 For color, I recommend picking a shade that is as close to either your natural brow color or hair color as possible. However, let’s say you have blonde hair and dark brown eyebrows, I recommend selecting a dark brown color, rather than blonde. 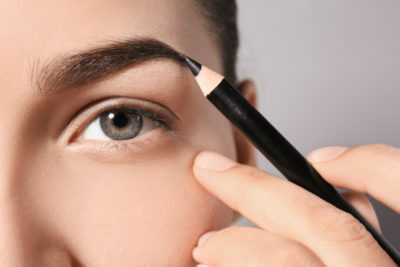 Other products you can use include brow “highlighters” (which sculpt and shape your brows further), spoolies to brush through eyebrow makeup, and even clear brow gels (such as the one available from Anastasia Beverly Hills) which can help already full brows to have a more symmetrical shape, or complete your brow look. This is one of those topics that can seem a little intimidating – but trust me, it’s not! All it takes is a little time, practice, and patience, and you’ll have your dream brows in no time. If you’d like to have a face-to-face lesson, consider booking a makeup lesson with me and we can discuss eyebrows further! If you are interested, you can contact me at nancy@makeupbynancy.com … I’d love to share my tips and tricks with you.